In today’s real-estate world the landscape has changed so much! In the St. Louis market for many years there were not sites such as zillow or trulia. The buyer 100% relied on their realtor for property information. Oh those were the days! Often today real-estate is an instant gratification desired experience for most buyers. The challenges are often inaccurate information, sold homes, poor sales comps, and frustrated buyers-which really bums us out! We meet with our buyers and want their wish list in a property Our goal is for our fabulous buyers to have the Best real-estate experience possible. We desire ease, comfort, and a sense of being taken care of as we locate the Perfect Property! We pride our team as being the Hardest Working Realtors in St. Louis. Our work is a bit different today because there is so much information out there, some good and useful and much undermining and inaccurate. The buyer signs up for many sites outside of their realtor and there is no guarantee that site will be accurate. The best most accurate place a buyer can locate properties is through their realtor and a service only realtors can use which is the Multiple Listing Services. We call the search set up a Buyer Portals! What is a buyer portal? It is a property search set up with the exact criteria of the buyers wants. It can be mapped, based on schools, zip codes, drive time, price range and even detailed as garage, pools, finished basement. It is specific taylor made for our buyers – their wishes and needs. It is the most accurate information because it is a direct link to the MLS which is the platform that all the realtors use marketing and locating properties. So when a property comes up on the MLS and a portal is set up the buyer received a link to that property right when the agent does. The buyer can adjust their search, add new searches, make notes for their agent, rank properties, and much more. It is a fabulous search tool and because it is direct from the MLS, the most accurate information there is trumping Zillow & Trulia! The agent MLS is also super helpful when analyzing the market to decide the perfect offer to make on a property! The data has everything from tax records, mortgages, past sales, reductions, and loads more! 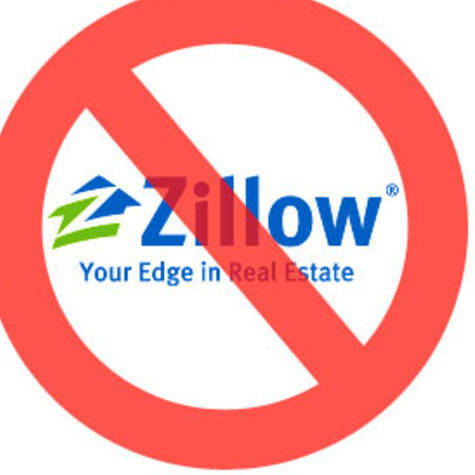 Zillow and Trulia often feel like the short route, but in reality they often are a tool of misinformation and frustration for the buyer and the buyer agent assisting! We have found we can serve best when we are the trusted professional and are able to implement the needed tools to finding the Perfect Property! It actually empowers our buyers which we love! Real estate investment is a fantastic way to build wealth. As an investor, and as a Realtor helping owners buy and sell properties, we’ve had a front row seat on how the process works, and how successful investors succeed. We aren’t wanting this to be about spitting out investment principles out like they so often are. For one, there’s already 10,000 sites that state investment formulas with certainty. The problem is that ‘for sale’ properties usually don’t jump out as being outstanding performers upon analysis. After all, why would they? What investor is likely to take a property that his performing optimally, making lots of money, low expenses, no repairs needed and sell it so someone else can make all the profits on their work and costs? 1. Investors that are actively selling are usually burnt out! The most commonly used analysis is the Capitalization Rate (known as Cap Rate=Net Operating ÷ Cost of Property). A great property has a cap rate of 10-15%, not so great would be less than 7%. Its rare for a property being sold to already be in the ideal range using this simple formula. Why? Burnout. Unlike owner occupied homes, the typical landlord doesn’t sell on a whim and isn’t usually as motivated to sell as homeowners. Landlords rarely invest a lot of money getting their properties ready like homeowners do. They’re pretty much done, but being done doesn’t mean they’re going to take a lousy offer. “We don’t have to sell,” we’re frequently told when offers come in that aren’t good enough. Landlords usually only sell if the deal makes financial sense to them. Having said that, they often times have lost interest in being landlords and have stopped improving the properties, or at least haven’t upgraded them to attract higher rents. Because the financial numbers still make sense for them, burnt out landlords aren’t as likely to risk loosing a tenant by raising rent. We’ve been told thousands of times by realtors selling properties, “rents could be a lot higher…” We’ve also seen lots of scenarios where tenants were frustrated about matters that could be easily rectified after the sale. 2. Cap Rates vary based upon value, which can be negotiated. Many novice investors get ‘analysis paralysis’ because their investment metrics don’t usually line up perfectly. The thought they have is that better properties will come, but usually they don’t. Even if they do, there are trade offs. The property with great cap rates sometimes indicate a property that hasn’t kept up with a responsible building maintenance in recent years. What is usually needed is a change of perspective, starting with an understanding of point 1 above. If the cap rate of a property of interest is 8%, but the buyer wants it to be 10%, drop the price, and you’re in!! Getting the seller to agree may not happen, but view the property as an opportunity (like a gold mine) and dig a little deeper. Have a CPA familiar with real estate investment analyze the pro forma numbers. Can depreciation be increased? Were capital improvements made that weigh down the expenses? Have any rental fees been left off the analysis like pet rents? Can a more affordable hazard insurance policy be implemented? Could a rents be bumped up? Often times there are plenty of things a new owner can do to improve profitability. One landlord shared with me that he asked the tenants of a building he was considering, what updates would they like to see? After the sale, he approached them and gave them news about the updates AND a slight rent increase. In their minds, the increase was warranted by the improvements they really wanted! When I began my career in real estate investing, I read books and took classes, but one of the best sources of information was my local real estate investor association (REIA) and landlords club. Meetings weren’t devoid of a any profit motive, as there were more classes, conventions and products presented, but being there with other, like minded investors and talking to them about their business was powerful. Meeting landlords with decades of experience was like visiting my grandparents and getting reassurance that my efforts would pay off. They weren’t the “experts” selling videos or online training packages for hundreds of dollars. They were sharing their wisdom simply to be helpful. Regarding the media gurus:, I often wonder if newbie investors included all the unneccessary books, dvd’s and training programs as a part of their investment balance sheets, would they justify themselves then? Well maintained properties always hold their value better than those that are in rough shape . Properties that are occupied tend to be in better shape than those that are vacant. For whatever reason though, when buying, investors seem to get excited by the lowest value properties. The cost / benefit may be worth it, but in order to be a good investor that has to be explored. Just assuming that the property is a good buy because it is cheap or the numbers fit a good formula is flawed logic. The simple formula [cost + upgrades]-holding costs > updated market value should be used. Updated market value is what the property will be worth after upgrades and is usually based on what comparable properties are selling for, or possibly what projected rents will be. Digging into how similar properties perform that have the important updates can be done by searching rents online, and getting a before and after CMA (market analysis) from your Realtor can help too. The main thing regarding investments is that any successful investor is going to THOUGHROULY ANALYZE each aspect of the opportunity before taking the plunge. This analysis should be expected in every purchase, because to point 1, 2, and 3 above, people usually aren’t selling properties when they’re on a winning streak. It will be up to the new owner to assess the property based upon its ability to generate equity and profit AFTER its problems are fixed. Lastly, we see it often in the real estate sales process, when a landlord gives the buyer a financial statement on the property and the numbers aren’t real. VERIFY! VERIFY! VERIFY! We frequently see landlords try to sneak in what the tenant previously paid on a unit that is now vacant is being used. This could lead to trouble if the unit is substantially older and less maintained, and therefore wouldn’t fetch the same rent. Another common situation is the opposite, if apartments are newly updated but still vacant. The seller projects what rents and expenses are without any hard facts. To me, this should be considered fraud, but it happens all the time. Professional help in the buying process? They may even see an buyer’s agent as an unnecessary expense that can be cut out of the equation, resulting in a better deal on a home. People often resort to past experiences, or trusted friends to advise them through the process, which often times has to be discussed with a professional. Since real estate is fluid, practices change from week to week, month to month, year to year, and place to place. Customs and laws are constantly changing, so what someone else does often times has little bearing on what needs to happen in a given situation. Most of our lessons about why buyer’s need representation comes from when we’re ready to help someone sell their home. We evaluate what comparable homes are selling for now, and we also look at what they paid, and what comparable homes were selling for when they purchased. When we find they ended up paying 20% above market price, then we wish they had representation. One of the most common problems we hear about from clients is how they attempted a by owner transaction, and after hundreds of dollars in expenses for inspections and appraisals, the deal couldn’t move forward due to what should have been a correctable or avoidable situation. Not fun!! Our process starts with the Buyer Consultation where the agent listen’s to the buyer’s goals, ideals, thoughts, and fears, then describes the process, our legal obligations to the buyer and to the home owners who’s homes we show. We typically obtain written authorization to assist from the buyer at this meeting and establish an open dialog. Then, the job of buyer’s agent shifts into the home search mode. Listening carefully to what the buyer’s want is crucial. Taking time to consider ways to expand or narrow the scope of the search based upon the availability of potential properties is huge. Evaluating all possible sources of homes, starting with the multiple listing service (MLS) and any other source of off market or by owner sales. Being readily accessible for showings, often times after business hours or on weekends is a must. Also, being able to help the buyer examine the property with a critical eye, keeping mental notes about the pro’s and con’s of the home with respect to the buyer’s needs and wants. “We recall helping buyer’s early in our careers and they were shocked that we didn’t walk in and sell them a house, but quite the opposite. We began to pick apart and point out concerns for each home,” explained Chris Grus. “The experienced buyer’s agent isn’t just a door opener,” said Jennifer Florida, buyer’s agent at Premier Realty Exclusive. Surveys suggest that the general public believes the number one duty of a buyer’s agent is to find the home, in actuality, making sure the buyer’s needs are represented through the process of negotiating, preparing, and executing a purchase agreement, There are many facets to the transaction, such as ensuring that the buyer has proper support from vendors, contractors, title companies; making sure the seller is performing their contractual obligations, and making sure everything is being explained to the buyer as the process moves forward. While all these things may seem like a ‘no brainer’, it actually takes years of experience in real estate to really know how to be properly supportive. “Keeping an up-to-date rolodex is important, but furthermore, making sure that all vendors & contractors are meeting our high standards of customer service is a challenge we insist on meeting,” added Jennifer. Helping the buyer to arrange and understand what inspections are needed, whether or not to order an appraisal, and understanding all the contingencies in the contract make up the most important roles of an agent. After everything for buyer and seller have been completed, and the scheduled date arrives, the buyer’s agent works to ensure items have been finalized. The buyer’s emotional state varies throughout the contract process, and often times at closing they’re just ready for things to be done so they can enjoy their new home. Having a buyer’s agent to review any receipts and lien waivers provided by the seller, make sure utilities are able to be turned over and there are no outstanding issues is of paramount importance. Reviewing the closing disclosure statements from the lender and / or title company is a must. Performing a final walk through with the buyer, making sure they know where to arrive to sign closing documents, that they bring their photo identification and an appropriate payment amount and method of payment all seems self-explanatory, but in some cases it is not. In the event of a ‘remote closing’ where the buyer may not even be available in town, arranging for everything to be handled via the mail is an added responsibility for the agent to supervise. According to National Association of Realtor surveys of home buyers, over 80% of the Realtors being surveyed consider step 5 optional. Providing buyer’s with after the sale support and communication is a huge priority for Premier Realty Exclusive. As real estate experts, professional Realtors can really be a huge asset for home owners in many areas. If, when, and how to refinance, what to do about problems that come up pertaining to their home, which update will improve re-sale value more, etc. “Just the fact that we have been through such a personally meaningful experience with a home buyer establishes a connection for us,” said Florida. Without a buyer’s agent that’s in the field and active, there’s always plenty of information out there, but is it accurate and timely, or is it yesterday’s news. What’s in style varies so much, that getting input from a personal connection like your buyer’s agent is one added bonus of building a relationship with a buyer’s agent. Over the years, we’ve heard our share of agents griping about helping buyers. It sounded strange at first, but after a whileI understood. Once an agent lists a home, their job can be more administrative in nature. There’s no driving around with clients, and during a seller’s market, the listing agent holds the upper hand and can push around the buyer’s agents all they want. Despite what we heard, we always enjoyed helping buyers too. You see more homes, it keeps you busy, and in the end, there’s a special feeling you can get seeing a home buyer LOVING their new home. Because of that, we started our VIP BUYER PROGRAM. We feel that we do more for buyer’s because we truly value their experience and want the absolute best for them. When we hear stories of agents that are unreachable, can’t show homes for days, or always making excuses, we just CRINGE! For anyone that has met with us, they’ve heard all about the VIP home buyer program. For the first time, we’ve placed our program online to show prospective St. Louis home buyer’s how we cater to them by building a unique strategy for home buyers and how we scour all possible property resources to bring as many options to the table as we can! Realtors work with lots of buyer’s that think the same way about getting a loan. It comes up too often for me when I’m driving around with buyer’s. We’ll be talking about a non-warrantable condo, or a property with title issues, or a building that’s not livable or even burning down. This may have more to do with ‘lender spin’, or it could be buyer not reading the documents in their entirety, but that buyer, in most cases, intentional or not, has been misled. Getting Pre-Approved for a loan is the first step in getting the lending process going. It’s usually a 10 minute phone call to a lender, in which basic information is discussed, like your name, social security number, date of birth, annual income, and length of employment. While a lender can generally hand out a Pre-Approval Letter after that discussion, you’re still a long way from banks parting with large sums of money. The preliminary actions taken to get pre-approval are usually followed up with a commitment to one specific lender by completing a Mortgage Loan Application and providing funds for the homes APPRAISAL. Some lenders credit the cost of the appraisal back to the buyer at closing, but before ordering the home appraisal, a deposit is typically required. This is to prevent the home buyer from completing applications from multiple lenders then backing out. Good lenders take care of preliminary details of processing the application and wait to order the appraisal until after the home buyer is satisfied with building inspections. Once the appraisal is ordered and recieved by the lender, it is included, along with the application, W2/Income Verification, and any other letters required by the bank and sent to “underwriting”. The underwriter is the person that looks at everything processed up to that point and will approve, reject, or conditionally approve the loan. Most loans get some “conditions”, which is ultimately a list of things needed prior to fully approving the loan. Examples of conditions might be letters of explanation from the appraiser, the borrower’s employer or the borrower themselves. The underwriters want evidence that they are making the right decision, and often times they want additional documentation. So we just bought a house, NOW WHAT? Thanks to SABRE for these important security tips. Looking for that perfect home and need a professional to make it happen in St. Louis metro? Visit 4SaleStLouis.com to start the search and find the top buyer team to protect your interests while you buy! Posted in home security, Uncategorized. Is St. Louis on your Rank Order List? 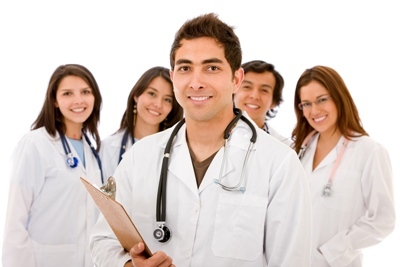 Contact us for a customized search with special driving proximity (or walking proximity) to your residency progam. St Louis real estate is our specialty! If you’re looking for real estate anywhere in the St Louis, MO area, including St Louis City, Tower Grove, Shaw, St Louis County, St Charles, Ballwin, Chesterfield, Sunset Hills, Kirkwood, Webster Groves, or one of the other areas we serve, simply click the “Search St Louis Real Estate” link at the top or bottom of this page to begin your home search now.